My experience with excited delirium (I just can’t bring myself to type ED without laughing) is that it occurs more than we acknowledge. This appears to be the essence of the disagreement on this topic. The reason we do not acknowledge or recognize it, is that we are not taught about it. Again this is from my experience in my area. This is the patient who cannot be talked into cooperating. The cooperative patient wants to feel less stressed and will allow treatment with some sort of sedative. As firetender suggested, there is the possibility of talking these patients down, but they should be sedated. As much as these patients may seem to be cooperating, they can suddenly become excited again. 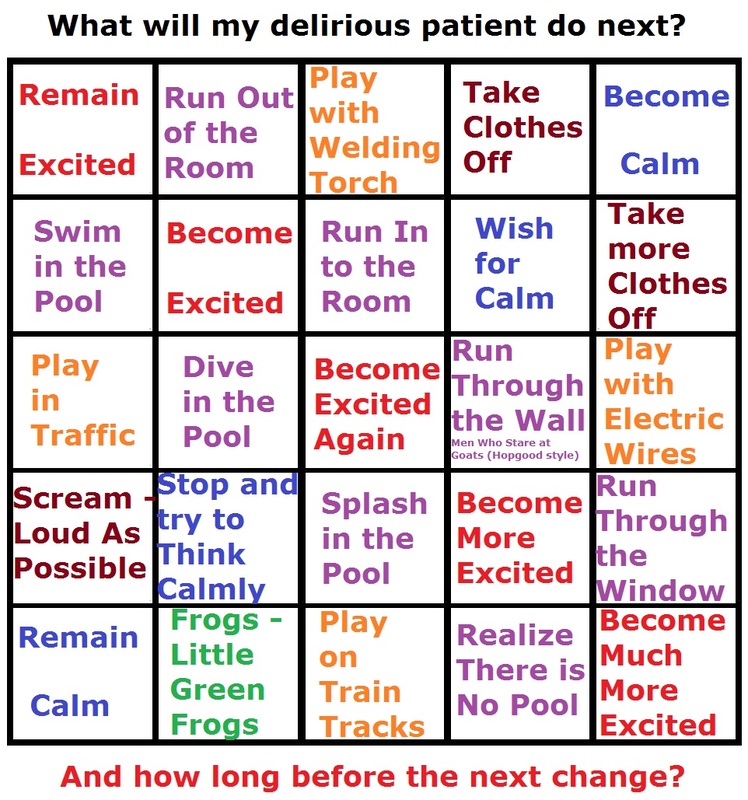 This is not being unfair to the patient. If the previously cooperative unrestrained patient suddenly decides to leave the ambulance while the ambulance is moving, the result can be a severely injured patient, a dead patient, a severely injured medic, a dead medic, a crashed ambulance, a multi-vehicle crash, or some combination of these. These patients need to be sedated to decrease the metabolic stimulus and to allow the patient to come down from whatever is causing this stimulus, whether psychological, chemical, or both. Looking back over the years, I can remember several cases that were more than likely excited delirium, but at the time it was chalked up to behavioral outburst, drug or alcohol ingestion, or just plain crazy. Quite honestly it’s a small miracle that we didn’t kill any of these patients. Well patients is a bit of a misnomer as most were carted off by the police, which makes even more of a miracle that some of them didn’t die. More early sedation (chemical restraint) should mean less physical restraint. Physical restraint does increase the metabolism. We do not have a sedation gun. We do not have a practical alternative to restraint. We have patients who are unpredictable. Delirium is sudden severe confusion and rapid changes in brain function that occur with physical or mental illness. Physical illness and/or mental illness and/or drugs (including alcohol). Delirium does not produce predictable or consistent behavior. 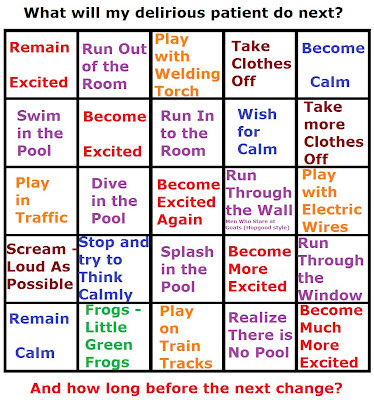 When the excited part of excited delirium is added, things become dangerous. Is it responsible behavior to not restrain these patients? What is the best way to administer chemical restraint? What are the best chemical restraints? When we try to explain the behavior of patients with delirium, we assume that their behavior is rational. To assume this is irrational. I guess what I’m getting at is that we have to improve our educational standards. This is the key to us moving forward and improving patient care. It’s unfortunate that there are greater exchanges of ideas, information, and intellectual debate in the various blogs than is taking place in the EMS class rooms. Blogs are becoming an important source for sharing information about improving patient care. I should have qualified that last bit about EMS education, as I am aware of some outstanding programs that are extending the boundaries and pushing their students to learn more. Unfortunately none of those programs are in the area which I live and the observations are from own personal experiences. Still really good stuff though. Not a problem. The quality of EMS education can vary significantly, even within a small area. We need something better than what we have for assessing quality.